Most women, when the summer comes, go into sheer panic because they do not know how to do their makeup right. Summer is hot, sweaty and usually wet from the sea and pool, and your face is the first thing that tends to melt when the temperatures go high, therefore finding the right tricks to make it always look fresh and perfect is probably one of the most complicated missions for a woman. These makeup tips will become your survival guide, so you will never again go wrong with your summer makeup and always manage to have a fresh-looking and perfect face! Here are the top dos and don’ts that will teach you how to get it right. Your usual heavy liquid foundation, the one that you use during the winter, becomes your worst enemy in the summer. It will make your skin sweat like mad and turn your face into a melting mess. Lock that into your cupboard and go bare skin! Your sun-kissed skin will glow and look fab even if it does not have its usual layer of foundation in the summer. Anyhow, if you really feel too exposed with no face makeup on, buy instead a sheer foundation or, even better, a tinted moisturizer. Look for mineral powders are really light products that will be good for your skin in the summer. Try a mineral powder foundation ($4.85. Get it for even less with the Banggood coupon!) or the Pure Brightening Serum Foundation (Beauty.com - $29.00 ) and see what works best for your skin. Bronzers are great in the summer, especially if you have a fair skin, as they give you that slightly tanned and healthy look that makes your eyes look brighter and your teeth whiter, but it has to be used with caution. You definitely do not want to look really fake and unnatural, so just apply it in small doses and only in certain points, like your forehead, the top of your cheeks and your chin and then blend it in with the rest. 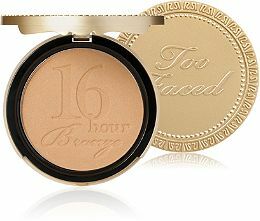 For a great natural look, get the Too Faced Endless Summer Long-Wear Bronzer ($30-Ulta.com) that promises to last 16+ hours thanks to its innovative technology. Just as in the summer you are more keen to go for bright colored tops and clothes, you should play more also with the color of your eye shadow. My makeup tip is to go for colors like turquoise, orange or yellow for a fresh and summery look. 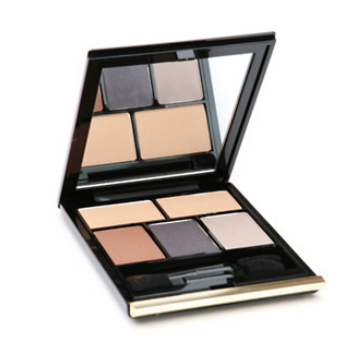 Remember not to use creamy eye shadows, but powder ones, that are lighter and they will last longer in the heat.The Kevyn Aucoin the essential eyeshadow ($46.4 - Beauty.com ) is a great choice for this summer. Save money with the Beauty.com coupons for this product! Do you have in your mind a picture of a raccoon!? Wearing makeup and then going for a swim is exactly the way you are going to achieve that look! Even if an eye-liner or mascara promises to be waterproof, odds are that it will not last if you are going for a good swim and you will just end up looking like a panda! In the summer, the sun rays will make you look glowy and gorgeous and, in most cases, you probably will not need any makeup at all. Try to go bare during the day and don’t wear anything on your face, but if you feel too uncomfortable and exposed in doing that, go for a fresh summer makeup with a light product to even out your skin, some mascara and a non-sticky light lipgloss. 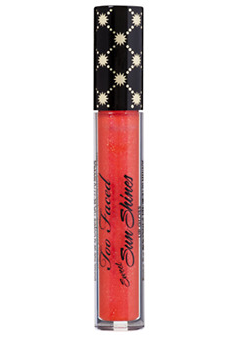 Try out the Too Faced Sun Shines Lip Gloss ($16- Beauty.com ) for a really lightweight and shimmering look. It is true that the sun can give you a great healthy color, but it can also seriously affect your skin. Do the words wrinkles, damaged skin and skin cancer say anything to you!? Plus, the sun can really make your skin look much older, and you definitely do not want to end up at 40 looking like a 60 years-old. Always apply it to keep your skin hydrated during the day in the summer. If you want to wear makeup on top, wait 15-20 minutes before applying it. 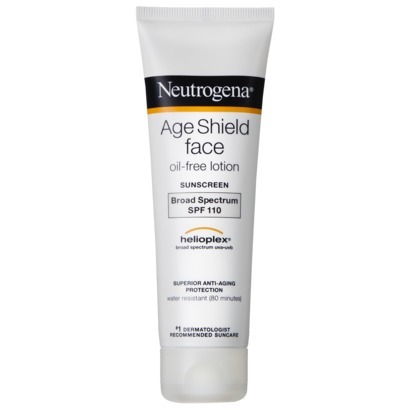 This summer go for the Neutrogena Age Shield Face Sunblock Lotion SPF ($11.99 at Target ). There is nothing worse than to see a girl who is all pulled together nicely, with a cute dress and great sandals, and then notice the skin of her talons all chapped and the polish of the toe nails ruined. Make it a habit to regularly go to the beauty salon to get a pedicure done so also your feet will always look gorgeous. Lipsticks, eye-pencils and cream-based products will all be totally ruined if you do not store them in a cool place. Do not bring them with you at the beach and leave them under the sun if you want to use them ever again! Want to avoid having burned or chapped lips this summer? The solution is to get a lipbalm with SPF that will protect you from the sun. Just as you protect your skin with sunscreen it is a great idea to also protect your lips! You can go for a tinted lipbalm that will give some color to your lips whilst protecting them. 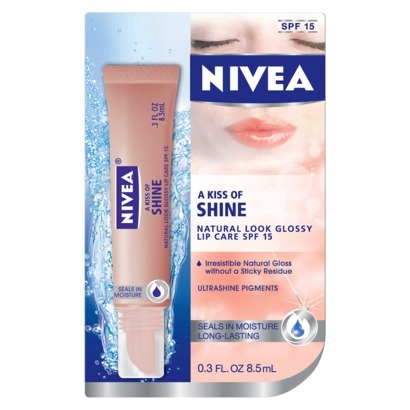 Try out the Nivea A Kiss of Shine Lip Care ($3.39) for a natural glossy look and a great protection. After a long day in the sun, your skin will be stressed out and dehydrated, even if you wear your sunscreen. In the evening, make it a habit of always applying a layer of moisturizer before you put your makeup on. It will have the effect of making your skin glow and even make your tan last longer! 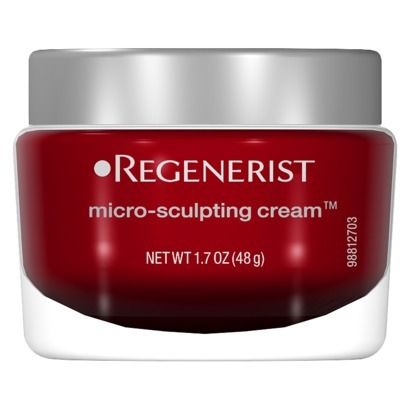 Get the Olay Regenerist Micro-Sculpting Cream Facial Moisturizer ($21.99 , and even less with Target coupon codes) for a full treatment for your skin. Now you know all that you need to know about summer makeup! This summer you will never again go wrong and you will always have a healthy and glowy skin. So, go and buy all your summer essentials now, always keeping in mind these makeup tips, and start the season with the right foot! Responses to "Summer Makeup Tips: 10 Dos and Donts "